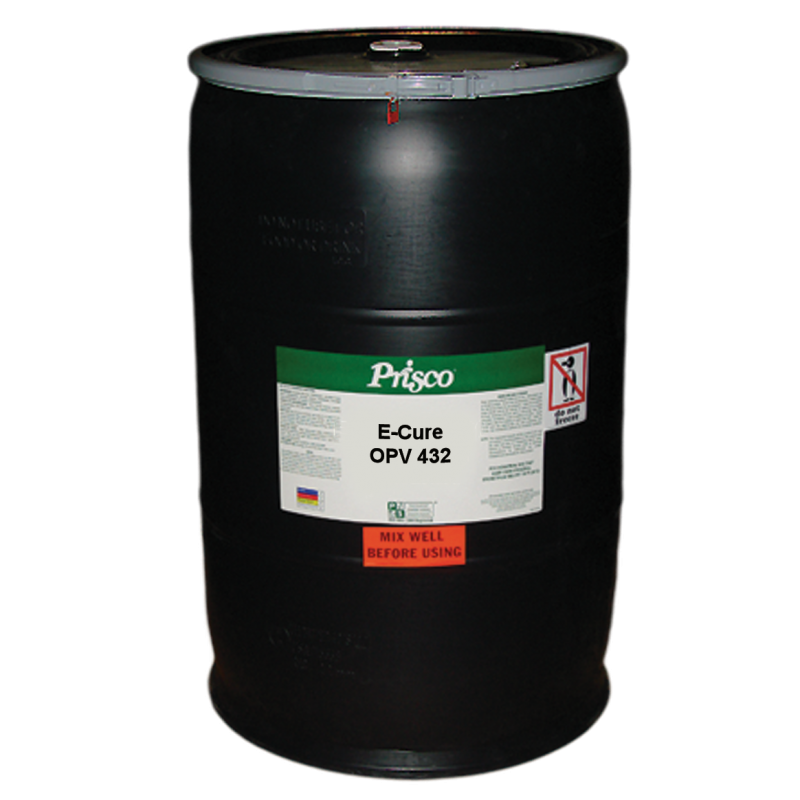 Prisco® E-Cure™ – Energy-Curable (UV, LED, HUV, EB) coatings are designed to produce a fast curing film formation with superior finish, providing quick turnaround times and smooth, defect-free surfaces. The E-Cure series is formulated to have excellent flexibility, adhesion properties, depth of gloss and clarity. In addition, the coatings have excellent Taber resistance, high MEK rub resistance, low VOC content and inherent non-yellowing properties. E-Cure coatings are available in a wide variety of finishes (matte, satin and gloss) for all printing processes and applications. Specialty coatings (glitter, pearlescent, reticulating, etc. ), UV adhesives, overprint varnishes, silicone release layers and strike-through coatings are also part of the Prisco offering. With over 100 technical field representatives throughout North America, Prisco is well positioned to provide on-site support for all coating products. Prisco always recommends prior testing of coatings for specialty applications before a production run. Please select from one of the categories below to view some of our most popular E-Cure coatings. Premium pre-print overprint litho varnish. High gloss H-UV coating for Dry Erase Marker application. High gloss reticulating effect overprint H-UV Varnish. Reticulating effect overprint H-UV Varnish. 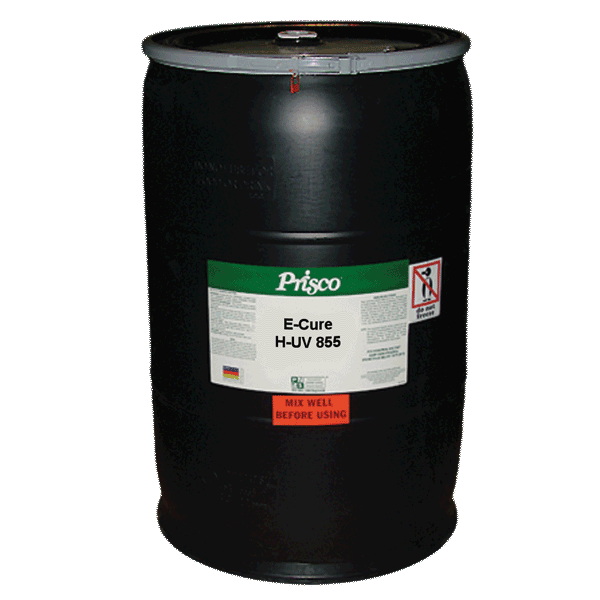 Matte H-UV coating for inline application over H-UV inks. Satin H-UV coating for inline application over H-UV inks. High gloss, Imprintable H-UV coating.